Relax at this idyllic vacation-rental-by-owner cottage in Hills at the north end of Slocan Lake. Fully equipped for summer fun and winter getaways. Tucked away at the end of a private lane, this lovely family- and pet-friendly cottage sleeps 5 (six in a pinch). Full kitchen, two bedrooms, two bathrooms, dining room, TV room and a covered porch for outdoor dining with a stunning view of the Valhalla range. BBQ, beautifully landscaped, outdoor fireplace for evening marshmallow roasts. 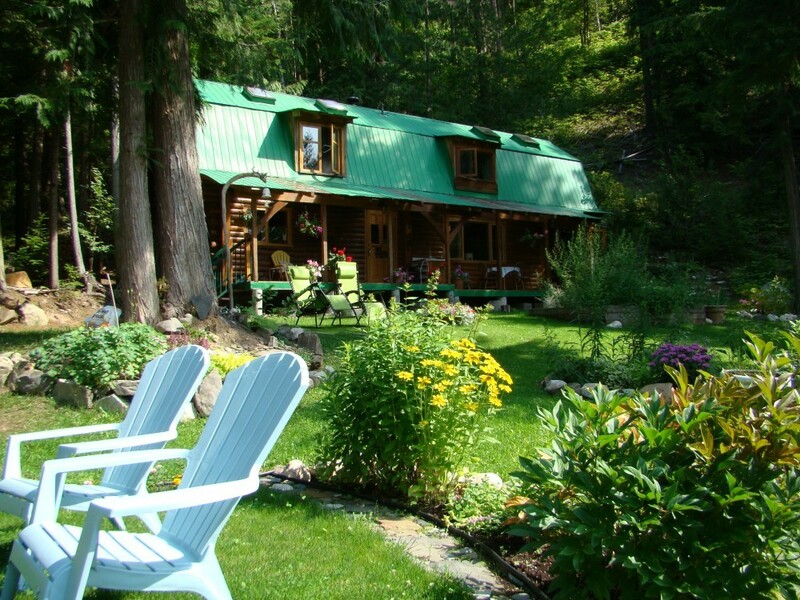 On the fabulous “West Koot Route” and only five minutes to one of the best beaches on Slocan Lake (offering every possible water sport), world-class hiking from your doorstep, great biking trails and backcountry exploring…or simply hang out on the porch with a cold drink and a book.